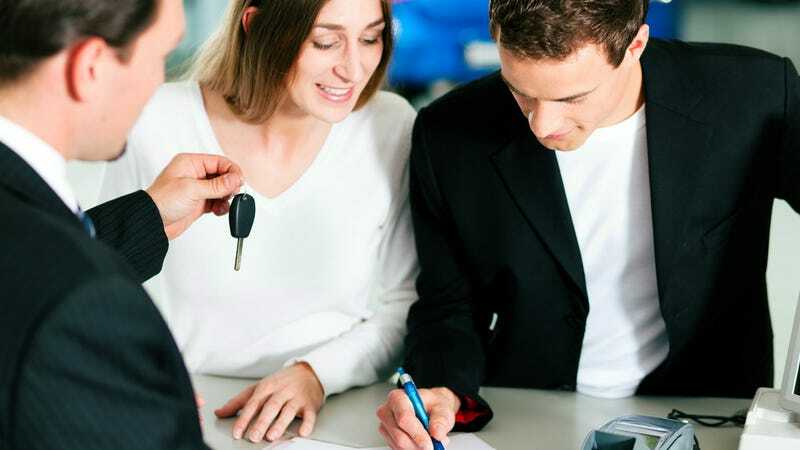 Most car buyers and most dealers, if they are honest, know that extended warranties and service plans are largely a waste of money. Statistically few buyers will get the full value out of their coverage. This is a problem for the dealer's finance office, which makes money from these add-ons, so they are coming up with new tactics. "F&I accounted for 38.8 percent of gross profit for dealership new- and used-car departments combined in 2013, up from 36.9 percent in 2012, according to "NADA DATA 2014"....That was the fourth yearly increase in a row. It was also part of a gradual increase that has lasted nearly all of the past decade." "55 percent of owners who purchased an extended warranty hadn't used it for repairs during the lifetime of the policy, even though the median price paid for the coverage was just over $1,200. And, on average, those who did use it spent hundreds more for the coverage than they saved in repair costs. Among survey participants who used their policy, the median out-of-pocket savings on repairs covered by extended warranties for all brands was $837. Based on a $1,214 average initial cost, that works out to a net loss of more than $375. Factoring those who didn't use their policy, the median savings was zero." Now dealerships have to come up with a way to capture these lost opportunities. Eric Marcel runs a consulting firm that helps dealerships track revenue loss opportunities including those in F&I. He says that data and following up are key to getting these customers to finally come around. "F&I should run this report weekly at least, if the manager is hungry... Just because a customer declined to buy an aftermarket product during their vehicle purchase doesn't mean the value of that product or products isn't still valid for them." So the lesson to consumers is just because you held your ground in the finance office, don't let your guard down. More and more dealers are following up to push those products that may or may not be worth your money. There is a reason these products are so profitable. For every DeMuro Range Rover out there, there are hundreds MaxCare covered cars that will drive for years without any problems at all.